In Alisse Lee Goldenberg’s fifth and final book in her award winning Sitnalta Series, we find a mature Princess Sitnalta facing intrigue, revolution, murder, redemption, and an upcoming marriage in one final story. It is a must read for the followers of this series. Desperate for revenge over the death of his evil friend, the Duke Sparrow finds himself in the possession of some information that will rock the foundation of Colonodona's monarchy. As the Princess Sitnalta comes of age, Sparrow unleashes his plan for chaos, throwing everyone Sitnalta loves into danger, as he questions whether or not she is fit to rule. Seeing the mistrust and mutiny in her subjects, Sitnalta questions everything she thinks she knows about herself and her past as she makes some hard choices and sacrifices to keep her family safe, and to secure the future of her kingdom. Sparrow sat squinting in the dim light coming from the flickering fire, which came from the dying embers in his hearth. He held the papers that had arrived in shaking hands. His friend Frain had left him quite the legacy, and he felt, quite the responsibility. Frain had few men whom he had considered friends, or confidants, and Sparrow had been counted in this small, select circle. Their fathers had known each other and shared one another’s views. The information that Frain had left in Sparrow’s care was far too important to just ignore. If what he held in his hands was even half true, well, it would rock the foundation that Colonodona’s society was built upon. As a respected Duke, Sparrow had pledged his fealty to the royal family. With the death of his friend, and the subsequent sullying of the physician’s name, Sparrow had been dealt a blow. But he had accepted it and tried to push it aside. After all, he was loyal to the crown. He knew that Supmylo’s daughter; the true heir would soon rise up and claim what was rightfully hers. Sparrow would accept that. He had to as a true man of power in the kingdom. Respect, position, money, and your name were all that mattered, and he was flush with them all. However, these papers changed all of that. According to Frain, the throne was built upon lies. This was something that Sparrow could not abide. Upon his friend’s death, his papers had finally made their way to Sparrow, and he had worked building up his plan, for how best to use them. Now, these people, these killers of his friend would have to be brought down. All he had to do was find the proof he needed, to make the papers believable beyond all doubt. Sparrow stood and headed for his rooms. His bags would have to be packed, and his horse needed to be saddled. He had a trip to prepare for. King Gerald was going to have to roll out the red carpet for his Duke. The capitol city had better be prepared for what was coming. As he threw his things together in preparation for his journey, Sparrow smiled with malevolent glee. Soon, the pretty little Princess of Colonodona would be begging for mercy. Mercy that was denied his friend and mentor. Mercy that he would be withholding from her with a song in his heart. 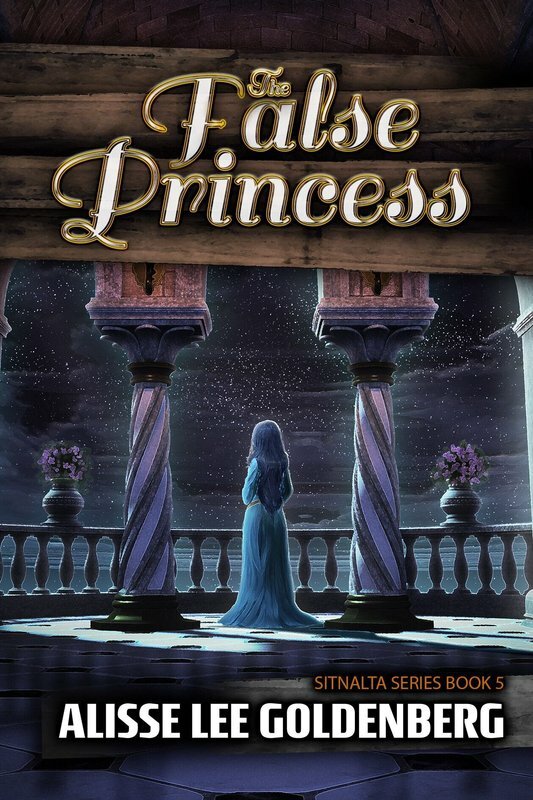 ​...An interesting and hugely engaging story, I loved The False Princess! Although I have not read the previous novels in the series, I had no problems in understanding the flow of the story and catching up with the characters. Sitnalta is a strong character; she is not afraid to make changes and then make sure that they come to fruition. I enjoyed her determination and how she was ready to take the necessary actions for her people and her family. The flow of the novel was great; it was fast paced and gripping. I thoroughly enjoyed this coming of age story! A brilliant read, and I loved the cover.